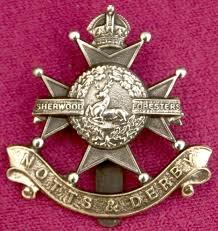 William enlisted in August 1916 into the 1st Battalion Notts & Derby. In February 1917 he went to France, in May 1918 William was reported missing following a battle at Guyrencourt but later reported as having been taken as a POW, he was held by the Germans for 4 months before his death. 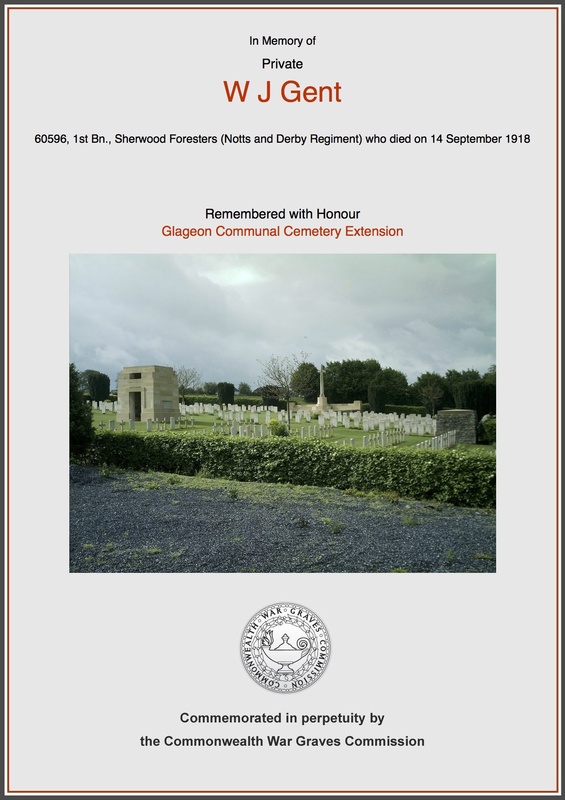 Death: 14th September 1918, William was a Prisoner of War. Report from Buxton Advertiser on Williams death. It is with much regret that we record the death of Private William James Gent of 68 Kings Road, whose wife has now received official information that he died at Trelon in September 1918. Deceased who was 44 years of age, joined the forces in August of 1916, and went to France in February of the following year, being in the Sherwood Foresters. He had been taken prisoner, and his death took place in hospital. deep sympathy will be expressed with the bereaved wife and children. Born: 1877 abt Tonbridge Kent. 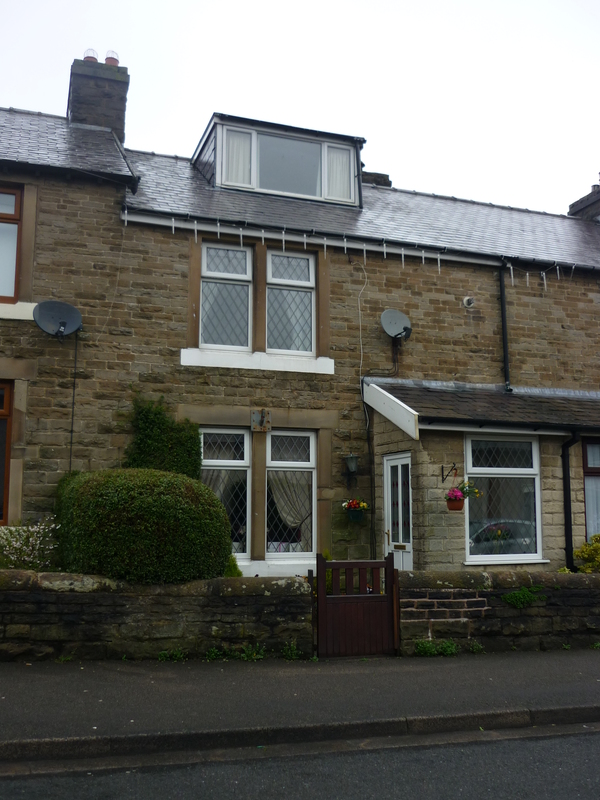 When the family came to Buxton they were living at Model Cottages. William had one older sister & 7 younger brothers & sisters. 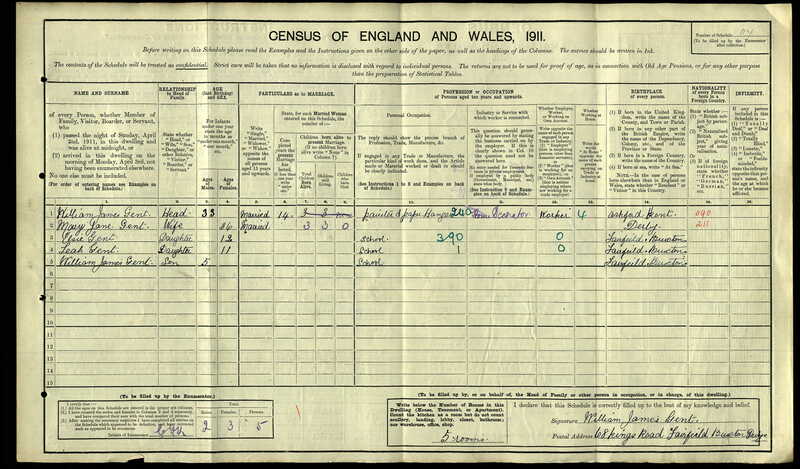 1891 Census: Living on Fairfield Common aged 14yrs. 1897: Married Mary Cotton. Register Chapel-en-le-Frith Vol 7b Page 1533, A/M/J Qtr. The couple went on to have 3 children Elsie, Leah & William James. 1901 Census: Living at 3 Woodbine Cottages. 1911 Census: Living at 68 Kings Road, Fairfield. Occupation: Painter & Wallpaper Hanger.